Elizabeth Kreitzer, a family law specialist, is a partner with Hargreaves & Taylor, LLP. Kreitzer joined the Hargreaves & Taylor team in July 2007 after managing her own family law practice for 10 years. She has handled hundreds of family law cases from those involving a few simple issues to those with numerous complex issues, keeping in mind the impact divorce has on the parties, their children and their extended families. Kreitzer’s practice encompasses all aspects of family law including divorce, paternity, adoption and premarital and postnuptial agreements. Kreitzer has the experience to handle the litigated family law case as well as the collaborative family law case, a process that focuses on a client-centered approach to divorce as an alternative to litigation. 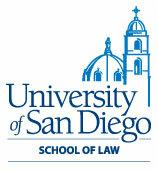 In 2007, Kreitzer was named as one of San Diego County’s “Top Family Law Attorneys.” In 2005, the San Diego Certified Family Law Specialists named Kreitzer as the Michael C. Shea Chair – which has been bestowed every year since 2002 on a certified family law specialist with superior ethics and dedication to teaching and mentoring family law attorneys. 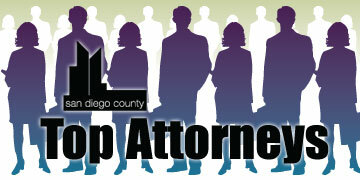 Kreitzer sits as a court-appointed temporary judge for the San Diego Superior Court, Family Support Division and has been a member of the Settlement Judge Panel since 2003. She is active in various San Diego Certified Family Law Specialists committees speaker for the San Diego Certified Family Law Specialists and appeared on NBC Channel 7/39 news programs discussing family law issues.